“The Golden Age of Musicals” featuring 17 classic films from the genre’s peak era and spanning from 1937 to 1957, is available in a five-disc DVD collector’s set starting Tuesday Aug. 9 from Film Chest Media Group. In the Golden Age of cinema the emergence of sound technology sparked a natural expansion, taking the musical genre from the stage to the big screen. Multiple camera angles, the ability to shoot at various locations and the use of lavish background scenery that would be impractical in a theater allowed filmed productions to outshine live performances. Interest in musicals increased dramatically in the mid-1930s when director Busby Berkeley (“Take Me Out to the Ball Game,” “The Gang’s All Here,” “For Me and My Gal”) began to enhance traditional dance routines with his unique style. His creative numbers would typically begin on stage, and then gradually transcend the limitations of theatrical space by filming from above, capturing dancers forming kaleidoscope-like patterns. “The Golden Age of Musicals” contains more than 25 hours of song, dance and comedy from slapstick to romance to over-the-top opulence. The set features Fred Astaire in “Second Chorus,” to Danny Kaye in “The Inspector General,” to Bing Crosby and Bob Hope in “Road to Bali,” to Dean Martin and Jerry Lewis in “At War With the Army,” to Judy Garland in “Till the Clouds Roll By” and many more. The films are presented in full screen and their original black and white as well as color versions. The Stephen Soderbergh-produced Starz series “The Girlfriend Experience,” is now available on Blu-ray and DVD. The limited series (13 episodes) stars Riley Keough as Christine Reade, a second year student at Chicago-Burnham Law School and a new intern at a prestigious firm. Working hard to establish herself at the firm, her focus quickly shifts when a classmate introduces her to the world of transactional relationships. Known as GFEs, they are women who provide “The Girlfriend Experience”—emotional and sexual relationships at a very high price. Juggling two very different lives, Christine quickly finds herself drawn into the GFE world, attracted to the rush of control and intimacy. Soderbergh (“Magic Mike,” the “Ocean’s Eleven” franchise) serves as executive producer of the series that is created, written and directed by Lodge Kerrigan and Amy Seimetz. Paul Sparks (“House of Cards”) and Mary Lynn Rajskub (“24: Live Another Day”) also star. Extras in the Blu-ray and DVD set include an inside look into the making of the series, a look at the production of the series and “The Girlfriend Experience” explained. Starz has renewed the series for a 14-episode second season, focusing on new characters and storylines, with Seimetz and Kerrigan reprising their roles. The critically acclaimed BBC drama “Line of Duty: Series 3,” returns with six episodes debuting on DVD Tuesday Aug. 9 from Acorn, an RLJ Entertainment company. 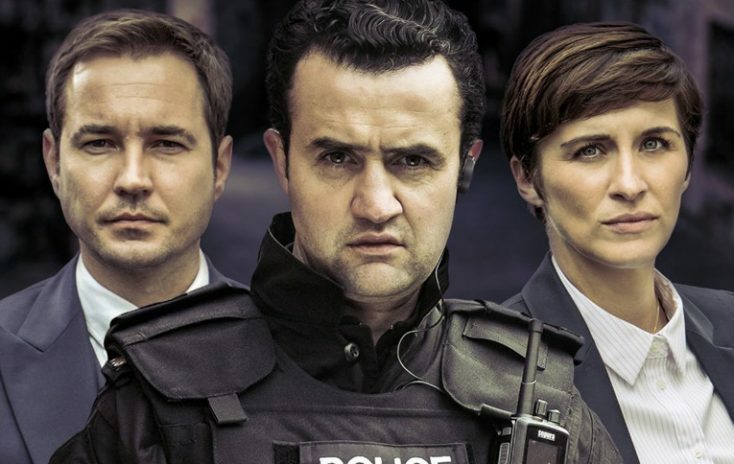 Kate Fleming (Vicky McClure, “Broadchurch”) and DS Steve Arnott (Martin Compston, “Monarch of the Glen”) of AC-12 investigate the conduct of Sergeant Danny Waldron (Daniel Mays, “Mrs. Biggs”) of the Armed Response Unit. After a criminal is shot dead during a police raid, the AC-12 team begins examining the conduct of Sgt. Waldron, leader of an elite unit. But Waldron’s loyal team obstructs the investigation, and the truth about the shooting proves more complicated than Arnott and Fleming could have imagined. Adrian Dunbar (“Ashes to Ashes”) and Polly Walker (“Rome”) also star, with Keeley Hawes (“MI-5”) reprising her role as DI Lindsay Denton. The three-disc set includes a behind-the-scenes featurette as well as a photo gallery, and has a suggested retail price of $39.99). Viewers can watch “Line of Duty” Series 1 and Series 2 on Acorn TV. Additionally, a fourth series (season) is set to begin production in the fall. The sophomore season of AMC’s hit tech-centered drama “Halt and Catch Fire” is available Tuesday Aug. 9. Set in March 1985, more than a year has passed since Joe MacMillan (Lee Pace) set fire to a truck full of Cardiff Giant PCs, the last in a long string of destructive acts that burned the people that made the machine possible: Gordon Clark (Scoot McNairy), Donna Clark (Kerry Bishé), Cameron Howe (Mackenzie Davis) and John Bosworth (Toby Huss). The Giant is about to go the way of the dinosaur, like any number of personal computers to enter the market in the wake of IBM. The lesson is harsh but clear: in history, only the truly disruptive ideas are destined to matter. Season two of “Halt and Catch Fire,” includes the 10 episodes of the season, thrives on the spirit of innovation and takes on world-changing scenarios, no matter the risk. Special features include inside episodes 201-210, history of now, the New Joe, Tour of an ‘80s startup, and an set tour with Lee Pace and Scoot McNairy. Season 3 of “Halt and Catch Fire” premieres on AMC Tuesday Aug. 23. ‘Cell Block 99,’ ‘Flatliners,’ More on Home Entertainment … plus a giveaway!! !